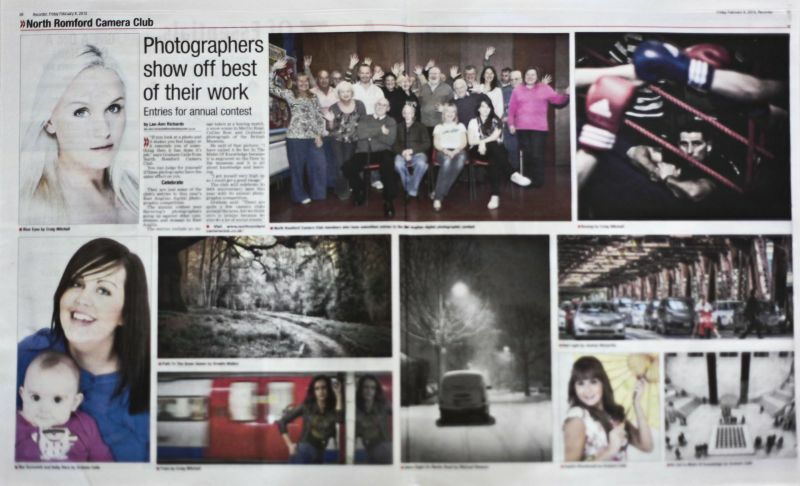 Romford Camera Club: We Are In The News! Regular readers of the ROMFORD RECORDER you will have noticed that our club has been featured in the centre spread of the paper this week! The paper contacted our Chairman (Graham) and with very little time scale allowed asked to do a feature on the club. Graham took up the challenge, and challenge it was as they wanted 'large' size images rather than 'for web' size. He managed to sort out and send them 40 pictures to choose from. What you see in the paper is their choice and the write up is a potted version of information given to them by graham. As a club we must be doing something right.....so well done to everyone!